Cruz cajon is Heidi Joubert’s bespoke signature cajon line handmade in Spain by our passionate and experienced artisan who takes pride in delivering outstanding professional instruments made with the utmost love and care. Cruz cajon Pro Elite is made of ‘Finest russian birchwood’ and has a distinct rich resonance that accentuates its beautiful tone. It is extremely sensitive and responds to the lightest touch, and when played with full force and power the Pro Elite is sure to blow you away with it’s powerful sound! Very versatile with a range of dynamics. Sharp top and warm, deep bass with a very neat separation between the highs and lows. NOW WITH ADDED IMPROVEMENTS THE PRO ELITE SOUNDS BETTER THAN EVER! 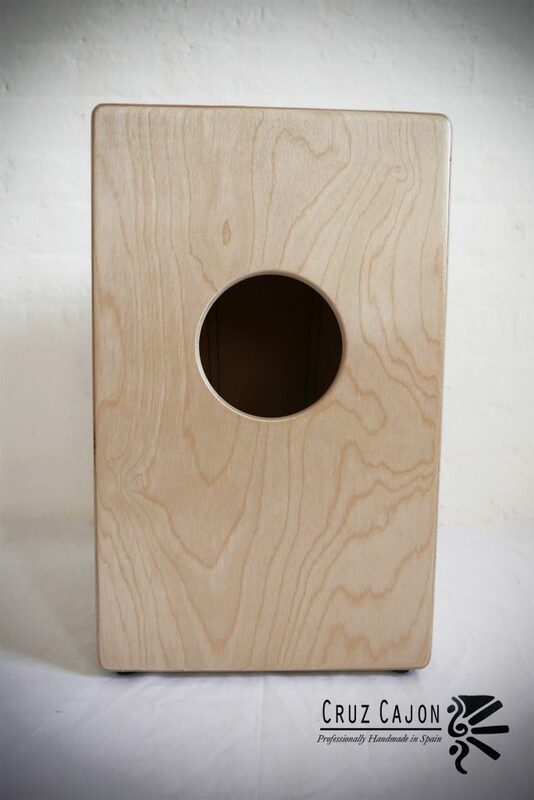 This is currently our most popular cajon, and is one of the best cajons on the market for it’s price/quality/sound. Made with the finest birchwood and perfectly finished for maximum quality and sound, ensured endurability for years to come. This cajon is pure quality and luxury. It is effortless to get an awesome sound out of this outstanding instrument. 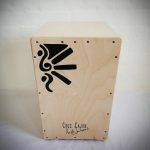 Now with a new and improved tuning system to prevent buzzing and rattles, the cajon features 4 guitar strings which are seperately tunable with 2 very easy to use tuning knobs…. no need for allen keys! More rounded corners in the front top for more comfort when playing and a sleek beautiful finish. cajon to do so! Very useful for that situation live onstage, you can tune it even as you play! After the handcrafting process, each cajon is finely tuned and then taken through a testing phase and approved by our professional cajon team (Heidi personally plays, checks and tunes each cajon herself, sometimes she packs them herself too 🙂 to ensure it matches the highest possible standard, no other cajon in this price range can match this quality or standard! My Cajon arrived safely in the US. 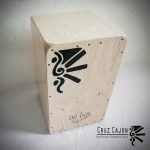 Just wanted to tell you about my first impressions of my Cruz Cajon Pro Elite Leon . She has a lovely fundamental tone, just tapping her from the sides. Moving to the front board, her depth is released! It was easy to find the sweet spot between the highest position for good bass and the guitar string snare sounds. Another reason I went with your cajon is the distance is way closer to the top than any other I’ve briefly tried out. Playing her on “the sides” is yet another voice she has! Thank you also for your lovely words during all our communications! I tell everyone the story of my Cajon coming to life. Handcrafted in Spain by your Artisan, shipped to you in England for your inspection, hand tuning, by playing her and then finally packing and shipping by you yourself! Doesn’t get any more “Hands On” and TLC than that! I feel that you are not just someone I bought an item from, but a friend! Heidi! You are the Best and a delight! I bought a cheaper Meinl cajon in an Amazon flash sale and thought I’d got a bargain. But, though it looked OK, it was nasty and had no depth to the bass and zero snare sound (other than a rattle on the bass). So I sent it back and decided you get what you pay for. This cajon is a thing of beauty with deep desonant bass tones and great slap and snare at the top. Yes it’s a bit more money, but worth every penny. Thanks Heidi! 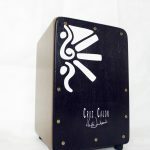 This model Cajon is the finest! I have been tapping, pounding and drumming on things most of my life, snare, to timpani, to jazz kit, as a my attempt to express myself. The Elite Pro has taken my expression to the next level. I well tell everyone about its high quality, sensitivity, resonant tone and amazing bass! The bass “sweet spot” is in the perfect upper high place, unlike a few others I have bought or tried. I am amazed in you and your sincere support of this instrument in the commercial world we live in. You bring the expression of drumming to so many, who could not otherwise enjoy. Thank you! Just cannot stop watching my beautiful Cajon! It is very beautiful and got great sound! received my wonderful Cajon two weeks ago, and I’m absolutely thrilled with it. Having had to finish work through ill health 5yrs ago, the Cajon and your inspiration has brought nothing but joy into my life. I try and practice every day body allowing and I’m learning something new after every lesson on You Tube. 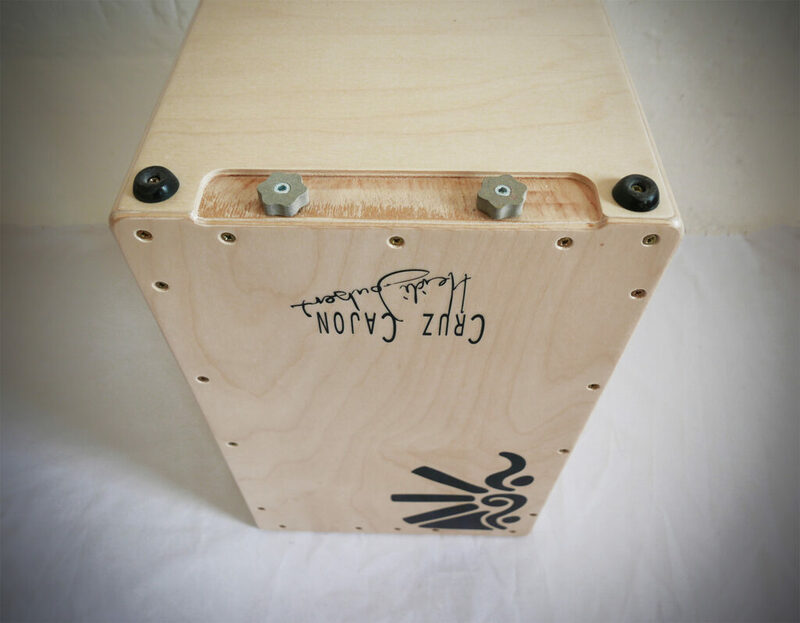 I received my Cruz Cajon savely in the Netherlands and… I’m in love with it! It looks great, feels great and it sounds AMAZING! Communication about the order was perfect, the cajon was carefully packaged, great service; as a thank for my patience I got 2 Fernando’s kitchen cd’s. Love it! It was worth waiting. MANY many thanks for this awesome instrument! I received my cajon today. The product is perfect – looks good, feels good and sounds good, although not yet as good as Heidi makes it sound 😉 Communication was excellent – you are great people to deal with! OK, must go now to practice….. I will learn step by step the lot of rythms possible with this kind of wonderful instrument (It is Nice in my Living room). Many thanks. Let the music play!